Click the play button and listen to the name of the letter and its sound. Click any letter and you will go to the lesson that shows how to pronounce it properly. Under each letter you'll find examples of words in English that have the same or a very similar sound. Don't memorize the whole alphabet now! In the following lessons we will learn each letter little by little. These two letters below are not sounded. Their role is to modify the sound of other letters. They are called "soft sign" (Ь) and "hard sign" (Ъ). 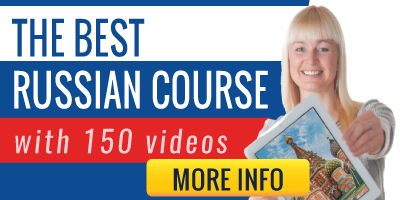 Do you think this is a useful course to learn russian? 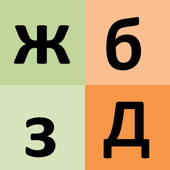 What should you call this alphabet: Cyrillic or Russian? The Cyrillic alphabet is a writing system developed in the 10th Century in Bulgaria. This writing system is the source used to create the alphabets of different languages such as Ukrainian, Belarusian, Bulgarian or Russian. The Russian alphabet (that's the one you learn in these lessons) is a form of the Cyrillic alphabet and is the script used to write the Russian language. Is it important to know how to read? The answer to this question can only be "yes"
When you learn a new language (Spanish, German, French,...), you always learn new words, how to read them and how to pronounce them, with the alphabet used in that language. Then, if you want to learn Russian, you should learn its abc, right? Learning the Russian alphabet (русский алфавит) and knowing how to read its letters, is the first step in the path to speak this language. Besides, this is much easier than you might think.